The Pops Gustav Archive: When actors sing!! What’s the opposite of Hugh Grant and Drew Barrymore singing pop in “Music and Lyrics ?” Maybe it’s Sam Jackson belting the blues in “Black Snake Moan .” Traditionally, when characters in movies burst into song, you’re hearing a professional singer’s voice dubbed in. It takes guts for an actor to actually lay down some vocal tracks in a film, and the results have been mixed. While some have egos huge enough to delude themselves into thinking they’re the next Frank Sinatra, a lot of times they end up evoking Frank Stallone. Marlon Brando’s off-key crooning in 1955’s “Guys and Dolls ” was so bad that the performance you hear onscreen was carefully constructed from bits and pieces of numerous takes. 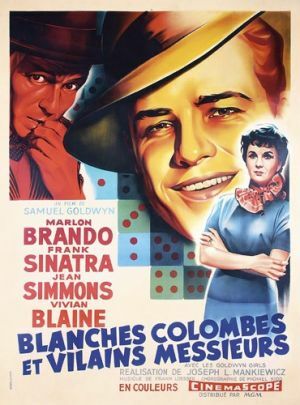 Playing Sky Masterson was an especially gutsy move for the method actor, considering he had to hold his own against none other than Mr. Sinatra (who was furious that Brando got the bigger part). 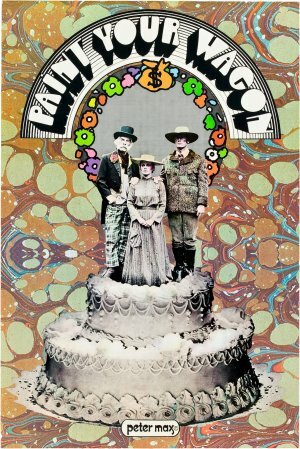 Robert Altman’s “Nashville ” (1975), a satire on the politics of America and the music business, featured much improvisation and the realism-obsessed director actually demanded that his stars, including Henry Gibson, Lily Tomlin and Karen Black not only perform their own songs in the film, but WRITE them as well! 1977’s “Saturday Night Fever ” proved that former sweathog John Travolta could dance, but his big screen follow-up showed that he had the pipes to match. As Danny Zuko in 1978’s “Grease ” Travolta’s become an iconic part of one of the most successful musicals of all time (would it be the same if Henry “the Fonz” Winkler had accepted the part?). Despite what “American Idol” would have you believe, sometimes technical ability isn’t as important as passion. 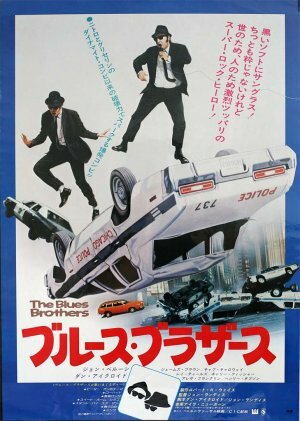 What started as a self-indulgent gag on “Saturday Night Live” turned into a full side career for comedians John Belushi and Dan Aykroyd as “The Blues Brothers ” (1980) became a smash both onscreen and in the record stores. Following Belushi’s death in 1982, later attempts by Aykroyd to recapture the magic never quite felt as genuine (If there’s any heir apparent to John Belushi, it’s Jack Black, whose musical performances in films like 2003’s “School of Rock ” and last year’s “Tenacious D: The Pick of Destiny ” succinctly capture the anarchic spirit of rock & roll). Woody Allen’s 1996 musical experiment, “Everyone Says I Love You ” intentionally cast non-singers such as Edward Norton, Drew Barrymore, Alan Alda, Goldie Hawn and Tim Roth in order to create a more realistic depiction of what it would like if people spontaneously burst into song in real life. In fact, Woody had to ask Hawn (who had recorded an album in 1972 ) to sing worse, while Drew’s singing was a bit TOO cacaphonous… she was the only cast member to be redubbed. 2000’s “Duets ” boasts somewhat less-than-mellifluous singing by Gwyneth Paltrow, Paul Giamatti, and Maria Bello, but they are to be excused in that the film is based in the world of karaoke, an arena not known for musical prowess. 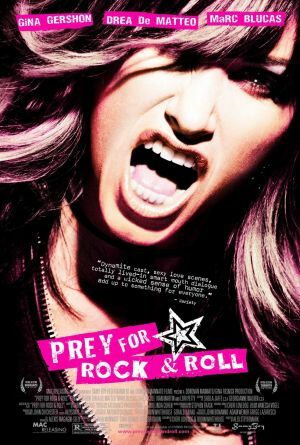 Gina Gershon’s narcissism takes the stage in 2003’s “Prey for Rock and Roll ,” an embarrassingly cliché-ridden tale of an all-girl band trying to make it in L.A. Spewing lines about what is and isn’t “rock and roll” (what musicians TALK like this? ), Gershon snarls and snaps like an exaggerated Courtney Love impersonation. Further evidence of how much the actress came to think that she was a real rock star came in a painful 2004 reality series, “Rocked With Gina Gershon ,” in which she toured with a backing band (Girls vs. Boys ) to promote the film. When an actor plays an actual musician in a biopic, they have two options: Lip-synch or swim… uh, sing. For those thespians brave enough to tackle the musical part of the performance as well as the dramatic, the rewards can be great. In addition to winning a Best Actress Oscar for her role as Loretta Lynn in 1980’s “Coal Miner’s Daughter ,” Sissy Spacek’s singing earned her a Grammy nomination for Best Country Vocal Performance. 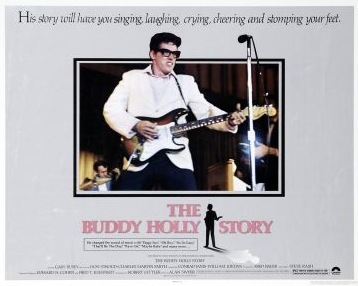 Not only did Gary Busey actually play guitar and sing as the star of “The Buddy Holly Story ” (1978), the concert scenes were recorded live during filming to capture the energy of the shows. 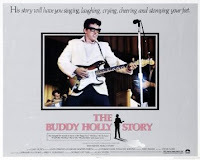 As part of his prep for the movie, Busey put together a band and went on tour with Holly’s songs, in order to feel comfortable performing in front of an audience. Jamie Foxx won an Oscar for his channeling of Ray Charles in 2004’s “Ray ,” but Foxx was actually a musician before he became an actor. Critics were more surprised by the deftness with which Joaquin Phoenix managed to evoke the seemingly-inimitable Johnny Cash in 2005’s “Walk the Line .” While Phoenix wouldn’t win his Oscar nod, his co-star, Reese Witherspoon did get Best Actress for her musical / dramatic interpretation of the love of Cash’s life, June Carter Cash. Kevin Spacey (who crooned “That Old Black Magic” for the soundtrack to 1997’s “Midnight In the Garden of Good and Evil ”) is a decent singer, and tried valiantly to conjure Bobby Darin in the 2004 film “Beyond the Sea .” The movie was a passion project for the producer-director-star, but a combination of age (the 45 year old Spacey just can’t pass for a twenty-something Darin) and a permeable air of self-indulgence is distracting.